This is a cake recipe I have from my mother. A recipe she learned in the south of France. I do not understand why it is not a classic cake in all bakeries, as it is better than most that can be bought there. 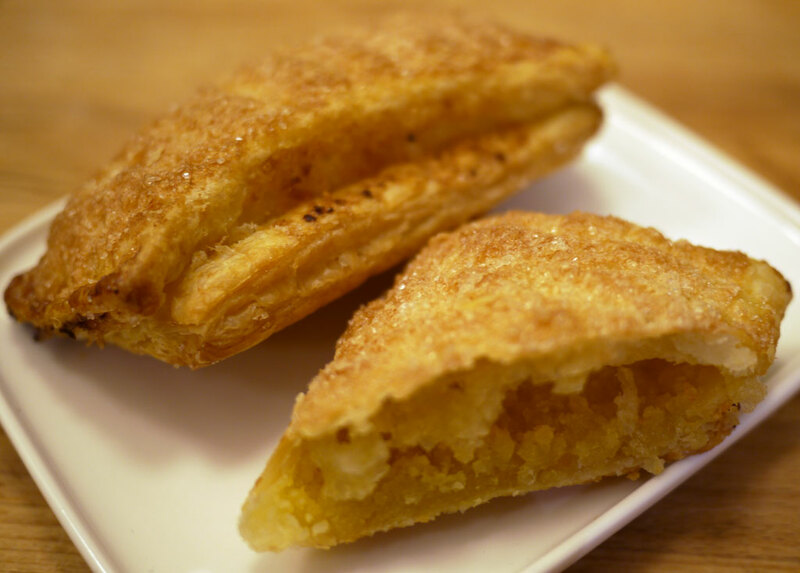 They taste is awesome and it is awesomely easy to make. Mix the remonce. An electric mixer is handy. Using your fingers is just as easy though. 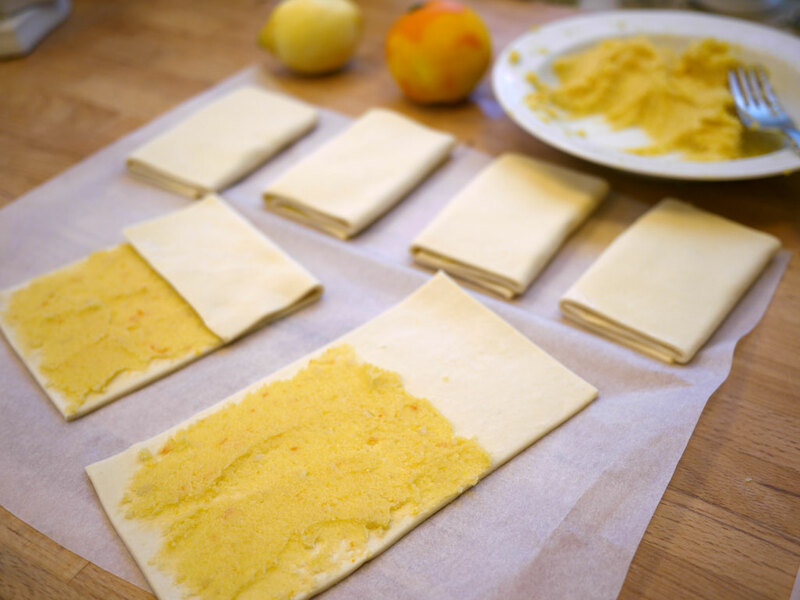 Cut all puff pastry pieces in half. Roll them out in one direction to approx. ½ thickness. So, they are 2-3 times as long as they are wide. Smear remonce on 2/3 of the length of each of them. Fold the side without remonce over the middle third with remonce. Then fold the two folded sides over the last side of remonce. Poke a lot of holes through the cake with a fork so it does not raise to high during baking. 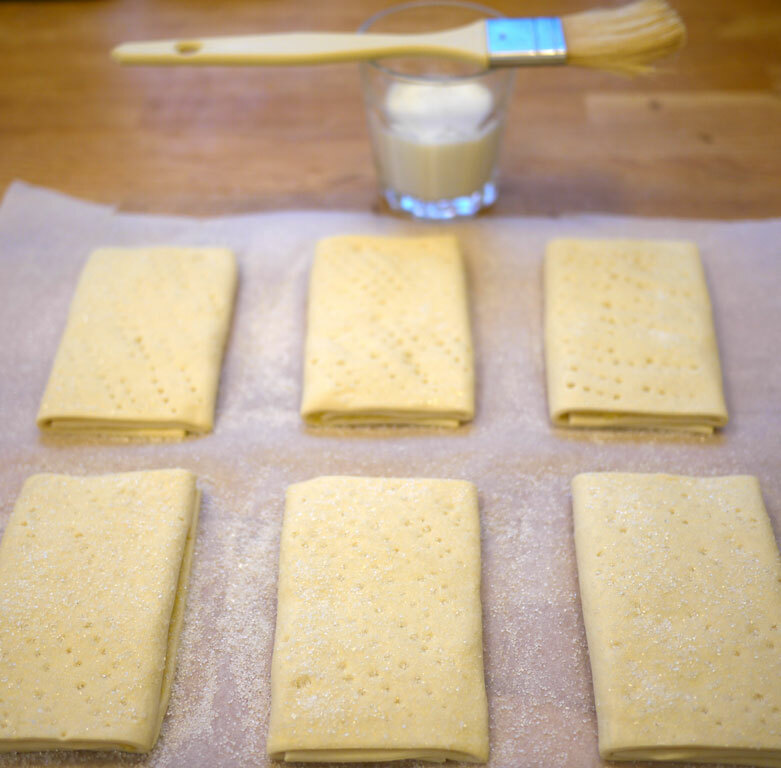 Squeeze the open edges tightly together with a fork, so they do not open during baking. Brush with milk so the sugar does not fall off when you sprinkle it on. 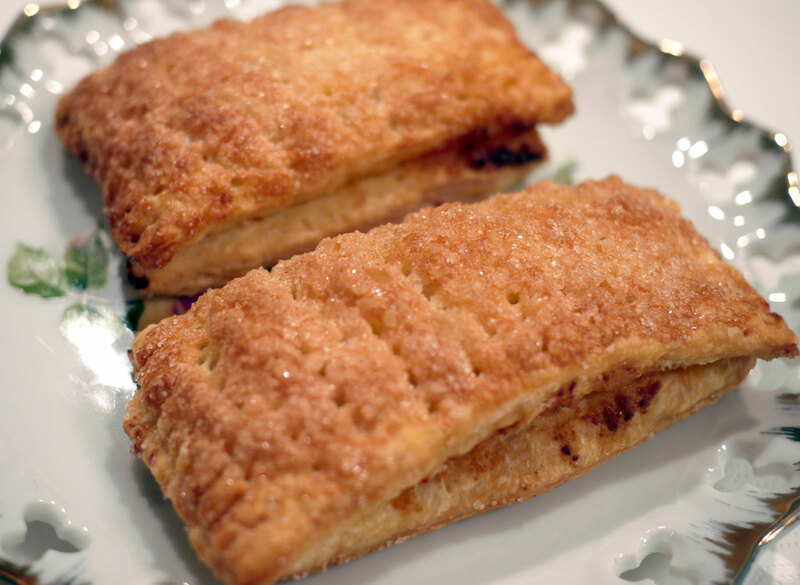 Use about a tsp of sugar on each. Bake about. 20 minutes at 180°C (355°F) (convection) until golden.